A Series of Unfortunate Events is a collection of 13 children's books written by Lemony Snicket (Daniel Handler.) The books follow the story of the Baudelaire children - Violet, Klaus, and Sunny - who, after their parents die in a house fire, are left with their distant relative, Count Olaf. It becomes clear Count Olaf is only after the children's inheritance and will do pretty much anything to get it. Throughout the series, Count Olaf attempts to hunt them down and will kill anyone who gets in his way. A Series of Unfortunate Events is dark but funny and clever; each book is short, written with such charm, and it's easy to see why the series has become so popular. You Are Now Less Dumb covers popular psychology concerning self-delusion and irrational thinking. David McRaney explains how we believe ourselves to be objective observers of reality when really, we're not. Our minds are tricky things, which like to “cheat and edit and alter reality” to create common biases, mental tricks, and delusions. But strangely enough, those delusions are what keep us sane. This book is fantastic; it's interesting, enlightening, and witty. The Psychopath Test explores what it is to be a psychopath - someone who has no empathy and is manipulative, deceitful, charming, seductive, and delusional. There were a lot of great sections in this book that were interesting, intriguing, and informative.. and then there were huge chunks that I skimmed over because Jon Ronson rambled on. Right at the start of the book, Ronson talks about an elaborate hoax that, for me, was pretty boring and tedious to read. Apart from that, The Psychopath Test is a reasonably good book that had me interested to find out more about the history of psychopathy and its treatment. 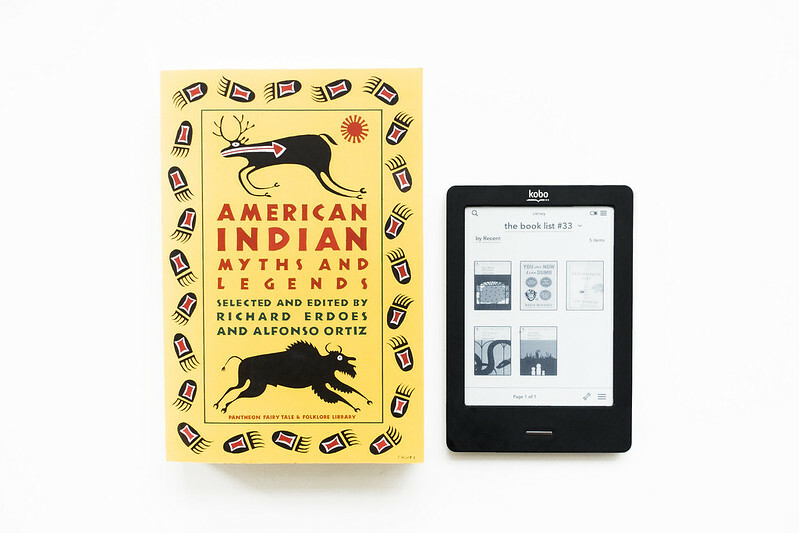 I absolutely adored this collection of 160 tales from 80 tribes, providing a little insight into the Native American mythic heritage. The stories are full of love, war, heroes, animals, tricksters, and both the creation and end of the world. There was one particular story - Coyote's Strawberry - that's so gross and funny, you've just got to read it.